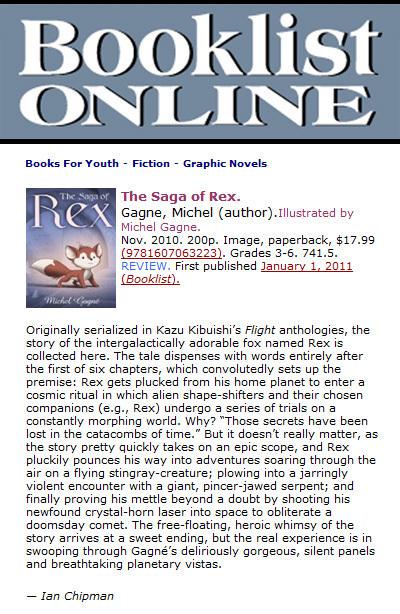 Check out this list of five recommended graphics novels from New York Magazine's Vulture! In April 2010, I managed to retrieve Prelude to Eden's original digital files on Exabyte tapes. The tapes had been missing for several years, stored in a warehouse in Cambridge, UK. I was hoping that from those, I'd be able to create an HD master. Unfortunately, the tapes were corrupted and no data could be extracted from them. 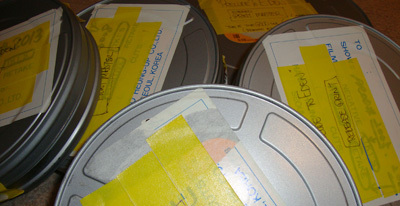 Determined to create an HD master of the film, I located the original 35mm Interpositive that was created by Kodak Cinesite in London for the theatrical release, back in 1995. Then, I had the IP scanned at 1920x1080 resolution by Alpha Cine, in Seattle. Once the film was turned into an uncompressed HD Quicktime, I color-corrected each scene, digitally removed specs and dust, and stabilized the film through After Effects' Motion Stabilizer. Prelude to Eden was animated on paper the old fashion way. 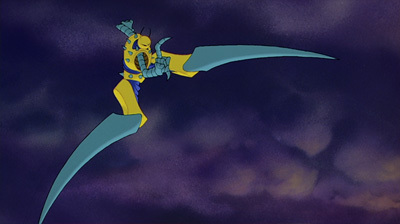 This film was part of the first generation of hand drawn animation digitally painted and composited. 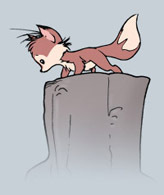 It was used to develop Animo which subsequently became the primary 2D animation software at Dreamworks and Warner Bros Feature animation (where I was head of special effects at the time). 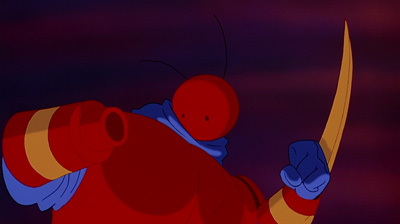 Animo was instrumental in the creation of films such as The Iron Giant, The Prince of Egypt, Eldorado, Space Jam, Spirit: Stallion of the Cimarron, Osmosis Jones, and many others. Watch Prelude to Eden in HD embeded on my site or on YouTube. 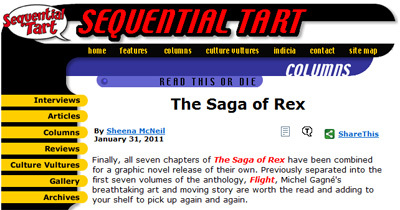 The Saga of Rex is the subject of this month's Read This of Die column at Sequential Tart. Click here to read. In 2011, Sensology will have a US theatrical release. It will also play in quite a few international film festivals. So if you want to catch the film on the big screen, as well as seeing other cool short films, you might want to check out some of these venues (I'll announce more in the upcoming weeks). The first two festivals to screen Sensology are the Bay Area International Children's Film Festival and The 13th Annual Spokane International Film Festival. Click on the links for the full list of films and schedule. Last April, I mentioned that I had managed to get the original Helical-Scan Data Cartridges for my 1995 short film, Prelude to Eden. Soon after that, I picked up an old exabyte drive from eBay, compatible with the tape format. Then, my quest continued as I tried locating a computer with a compatible SCSI connection so that I could operate the drive. After some reseach, I was able to put all the elements together. Unfortunately, my hopes of retrieving the high resolution files were gradually dashed as several tech specialists tried their best to extract the data but could only get gibberish. Looks like the tapes had past their expiry date. What a bummer! Now, my last resort, in order to get a digital 1080P version of the film, is to go back to the original film elements. A few days ago, I went to my storage unit and opened two big boxes sealed since 1995, containing all that good stuff (Negative, Inter-Positive, Inter-Negative, Timed IP, Timed IN, Timed Release Print, Release Prints, Mag Tracks, etc). I couldn't believe how much crap was in those boxes! About 25 rolls of films. All that for a three and a half minute short film! I'm so glad I've gone all digital and I don't have to deal with this film stuff anymore. Anyhow, I did some research and found a lab in Seattle that specializes in 35mm/digital conversion. Looks like my quest to get a HD version of Prelude to Eden might be getting close to an end.